You have reached the wordpress.com website of Dave Braddon, author and web master for Zoomers Automotive website. Zoomers is a full design and build automotive shop located in Denver Colorado. Owned and operated by Lee Bumgardner. Zoomers has been producing show winning cars in the Hot Rod and Custom Car industry for over 20 years, with numerous cars featured in the industries top publications. If you can imagine it, Zoomers can build it! 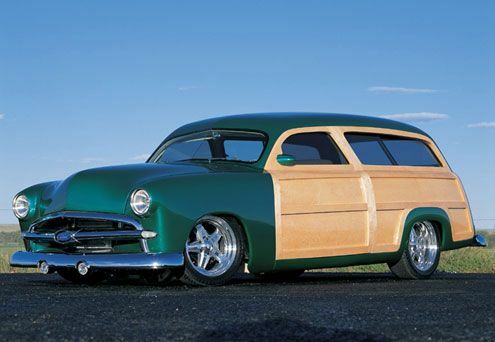 From traditional and vintage style hot rods to an all out custom builds, Zoomers can handle the work. With an extensive portfolio of past creations, Zoomers has built one of the best reputations among the elite builders in the industry today. The attention to detail and craftsmanship that goes into everyone of their cars, is one of the many aspects of their service that has WOW’d customers and fans for years! So if you are thinking about having a hot rod or custom car built, they can make your dreams come true, and if you are a DIY kind of person that just needs some help with your home project, Zoomers can assist you there as well. Catering to the home builder, Zoomers has been a part of many builds in the Denver area and beyond. They specialize in wiring and building custom correct color coded wiring harnesses for you car. Or if your are just looking for some help with the heavy work, customizing and building your frame, modifying your body, or repairing the rust in your project car, Zoomers can help you build your project car into a reality. So drop by our website, take a look around, and check out the projects page and recent news to see the latest happenings at Zoomers Automotive!